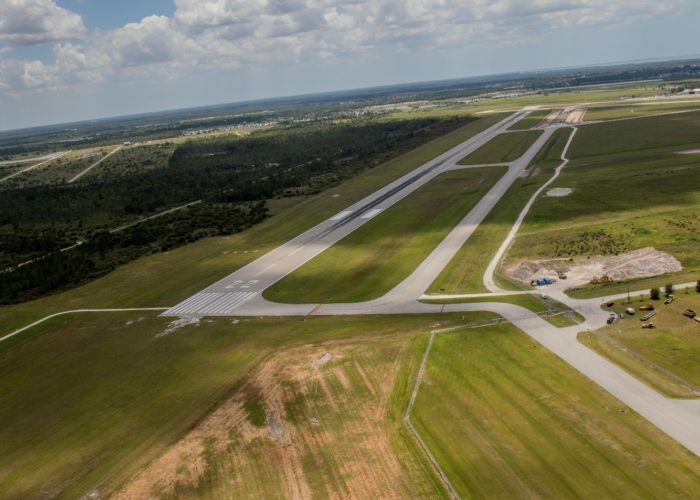 Punta Gorda Airport, Design Build Concrete Apron – EG Solutions Inc.
EG Solutions’ personnel was the engineer of record for this project. The previous terminal apron was over 60 years old. It consisted of concrete with a nominal thickness of 7-inches that varied from 4 to 9-inches in a random pattern. 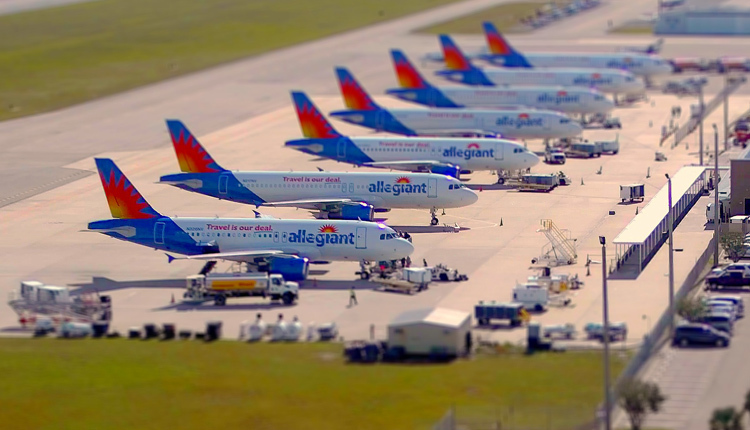 With the reintroduction of air service to the Punta Gorda Airport, the imposed loads from A320 aircraft exceeded the structural strength of the apron. In order to accommodate a fast-track solution, a design/build approach was used for apron reconstruction. 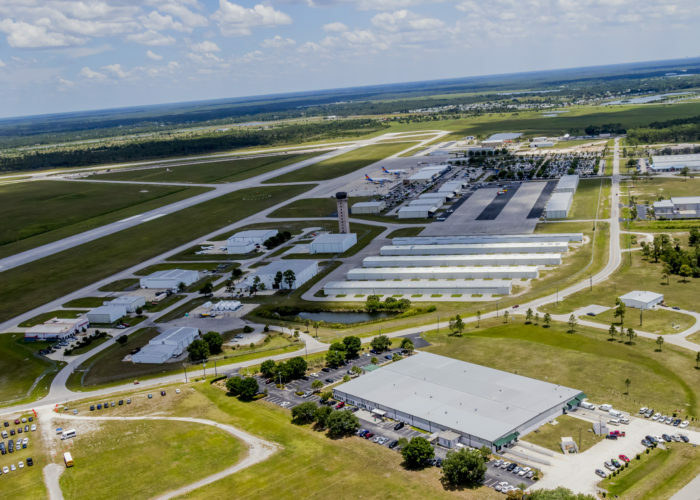 The project included demolition of the existing concrete, crushing waste concrete to provide high quality sub-base course, and placing new, 12-inch thick, fiber reinforced concrete. 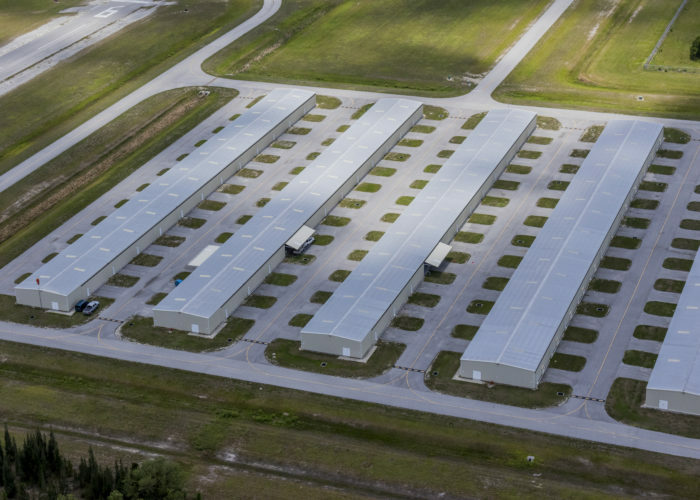 The reuse of waste concrete with appropriate testing to meet FAA standards was a cost-saving, environmentally friendly measure. Likewise, the selection of fiber reinforcement over traditional wire mesh was a time saving measure. The project was designed and built in four months. Funding was through an AIP grant.